Leading bookmakers have stood firm in the face of a surge of betting interest in Article 50 being revoked on the back of a public petition demanding as such. The petition ‘Revoke Article 50 and remain in the EU’ has been backed by over 3.5 million Britons, and the figure is still rising, with many signees also wagering on such an outcome through various political betting sites. 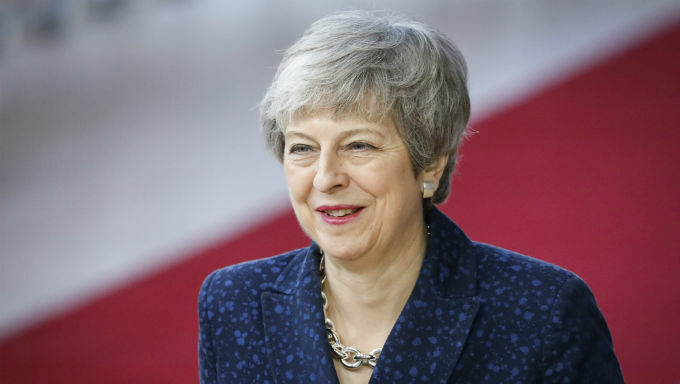 However, bookmakers appear unnerved by the fresh show of support for the UK to pull the plug on Brexit at the last minute, perhaps influenced by a number of high-profile politicians deeming such an outcome improbable at this stage. Jeremy Hunt, for example, told BBC Radio 4's Today show that it was “highly unlikely” for Article 50 to be revoked, but the Foreign Secretary accepted that it was still a possibility. Meanwhile, Commons leader Andrea Leadsom pointed out that the petition has so far fallen a long way short of the number of people who voted for Britain to leave the EU in the referendum on June 23, 2016. She did, however, acknowledge that Parliament will consider all official petitions for a debate if they attract more than 100,000 signatures. "Should it reach 17.4 million respondents then I am sure there will be a very clear case for taking action," she told MPs. "It's absolutely right that people do have the opportunity to put their views and that can then spark yet another Brexit debate." Despite the frenzied interest, political betting traders have not yet hit the panic button, with Paddy Power and Betfair remaining unmoved at 5/2 on Article 50 to be revoked, standing by their odds of 1/4 that it remains triggered. Online bookmakers 888Sport and Unibet – who both rely on Swedish odds compilers Kambi for their market prices – opted to trim the odds of Article 50 being revoked, but only ever so slightly, moving the price in from 5/2 to a precautious 11/5. Article 50 is the segment of The Lisbon Treaty, an agreement signed by leaders of the EU nations, which outlines the procedure for any country who signals their intent to leave the European Union. In order for the UK to leave the EU Article 50 had to be triggered, and Theresa May did so on March 29, 2017, in doing so giving Britain exactly two years to formalise an exit plan. The precise deadline is 11pm GMT on Friday, March 29, 2019, but the European Court of Justice has ruled that the UK may decide to cancel the Article 50 Brexit process and remain in the EU at any point up until that deadline. They can do so without the support of the other 27 EU nations, but if they wish to have an extension to the deadline granted then they must have the support of all states. An alternative option for the UK is to leave the EU without an agreement in place, which is looking a little more likely at this stage with bookmakers having cut the odds from 5/1 to 3/1 this week.